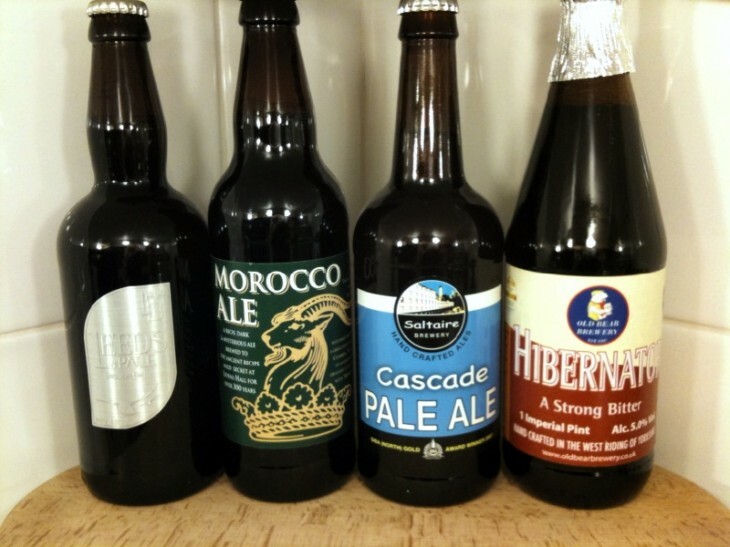 OK, so you may of picked up on the fact that I’m involved in a little thing called BeerSwap. It’s one of the reasons for researching local Microbrewery beers for the past few months (honestly, it’s all in the name of blogging and not about drinking beer) and today the list was published showing all the blogger/tweeters involved in the swap. I’m quite surprised at the size of the list and how well it’s taken off. There is now an official logo, a twitter account for @beerswap and even a Beerswap.Posterous blog which hopefully will be a central deposit for all the blogs and links relating to #BeerSwap making use of the wonderful Posterous Bookmarklet to easily re-blog content. Send four bottles of beers which are local to you. Local means within about 30 miles of where you live, if possible. They must come from at least two breweries. If you brew your own then you can send that, commercial or homebrew. They must be good beers – quality is more important than it being ‘the most local’. Don’t worry if someone in the same area as you wishes to send beer from the same brewery – it doesn’t matter because it’ll be going to a different recipient. Go for bottles which the recipient is unlikely to be able to get hold of in their area (just because you live near Badger’s doesn’t mean you should send one because they are in all the supermarkets). Please package them safely; no-one wants to open a box of broken glass and stale beer. And finally, when you receive the beer then say thank you and enjoy them and tell everyone else about them. Great post/justification for itinerant quaffing at local breweries. Like the google maps thingy (so much so I nicked your idea and done my own 🙂 Best of luck with the swap! Lois, have you got a link to your version?